Kicking off this organizing series is the very lovely Abbie of 5 days 5 ways. She shared her fabulous master closet makeover a while ago and got me thinking that I want to see more more more of how bloggers store all their goodies. So thanks to Abby for sharing and the inspiration. Hope you love peeking into bloggers' hidden spaces as much as I do. Hi there folks! I could go on for half a page about how excited I am to be here guest-posting for Mrs. Limestone, but...I have a feeling that's not what you're here for.  Still, I have to say that Brooklyn Limestone was quite literally my gateway into the blogging world—the very first blog that I faithfully followed and a constant source of inspiration. I am so thankful to Stefanie for having me over for a visit! My name is Abbie from Five days…5 ways and Secondhand or Bare Bottom. Yes, that’s right. I run not one but two blogs. Because being a home-schooling mama to three children under 6, teaching fitness classes, trying to keep my house reasonably clean, knocking out a few DIY projects now and then, and spending time with my great husband doesn’t keep me busy enough. It was basically a classic case of good bones (my hubby built the custom shoe-shelf, the closet-rods, the cubbies, and the laundry chute) and bad styling and use of space. But it was nothing a little (okay, a lot) of DIY elbow grease couldn’t fix. Actually, grease may have been one of the few gooey substances I didn’t use, but there was a lot of paint, glue(decoupaging = messy magic! ), and sweat. Of course, as you can see from the above pic, I did have help. Here’s the organizational breakdown for my formerly chaotic cubby wall. But maybe my favorite project of all was another decoupaging job. I took our Plain Jane closet rods and covered them with some “Mr. and Mrs.” wrapping paper that I found at Walmart. Let’s face it—there never was a Mister that got his fair share of a closet, but I did leave him one rod! The shoe shelf also got some organizational help as well as a little paint + wallpaper love. This project was all about the details, which made it rather slow-going, but I took my time finding pieces I loved (for cheap!) from my usual haunts, which include Target, Goodwill, Marshall’s, and Hobby Lobby. And by working with a lot of supplies I already had on hand (I custom-mixed my paint colors from leftovers I had lying around) + trolling for bargains, I managed to keep the entire the entire closet redo total under $150! Oh, aqua and fuchsia, how I love thee! Want to see the entire transformation? Here you go. I hope you’ll stop by for a visit and say hi. I love meeting new friends! Oh, and thanks again, Mrs. Limestone, for letting me share a bit of my corner of the blogosphere with your readers! It’s a huge treat for me! I love this closet! I love how much personality she added to the space!!! I just reorganized mine this past weekend and I gave it a nice dose of pretty too! It looks amazing - I am so jealous!!! You did a great job personalizing so many things, I want all the turquoise cubby things! Thanks so much for the feature, Stefanie! GORGEOUS! Seriously drool-worthy girly closet. Looks like a cute little boutique now! Love the pink hangers! The mannequin is too awesome. Wow! What a transformation! I love the little helper :) Thanks for sharing this series! The bins for small accessories are great! I love this closet, she did such a great job! And I thought my custom made wardrobe and shoe closet were the best - now I have a bit of competing to do, to get mine more funkified! A great closet! Love the colors and the great shoe shelving, cubbies and so on. Quite a transformation. I am so jealous of you american's with your massive walk in closets, my boyfriend and I share a clothes rail in our bedroom. But these posts have given me loads of ideas to tackle our bedroom when we get to it. the hot pink hangers are a nice pop of color!